Today's theme is toys that are worth buying and stand the test of time. Since I only have a son and we mostly have to buy gifts for boys - I will go with what I know. 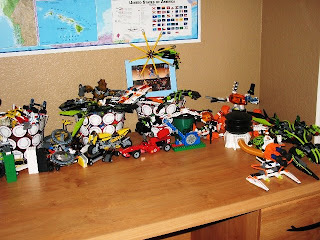 Legos - My son is obsessed, I think! He loves getting Lego sets. Some sets he builds according to directions and leaves set up. Others he takes apart and combines with other Legos and builds his own creations. The nice thing about Legos is that they all work together and there are many different sets to appeal to different interests. K'nex - This one is fairly new to us, but my son loves them just as much as Legos. 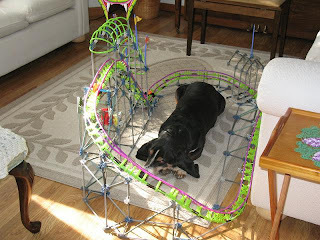 They are fun to build with and he really likes the roller coaster sets! Lincoln Logs - Very fun to build with if you can get a big enough set. I had Lincoln Logs when I was a little girl and I loved them. Nerf - We love anything Nerf in this house - dart guns, balls, etc. You have to be a little more careful if you are buying these items for somebody you don't know well - parents might not approve of toy guns, even dart guns or they might not appreciate it when an older brother nails a younger sister with those sponge darts just to torment her. In our house, my hubby and son have Nerf dart gun fights - lotsa laughs! Balls - Soccer balls, basketballs, footballs, softballs, bouncing balls - I think you need one of each kind if you have boys! They can practice a sport or make up their own games. Trouble - Loved it when I was a kid and my son has loved it for years. It's quick and easy, so most often chosen by hubby and me to play with our son! Bonus - adults can work out aggressions by popping the plastic bubble. UNO - Great card game! So much fun for boys and girls. Another one that I loved when I was a kid. 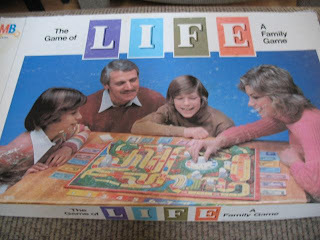 Life - My son really likes this game and some of his friends have played it, too. A good one for the family. This one really has stood the test of time since it belonged to me when I was a kid. Here's a pic of the box - I was going to tell you how funny the hairstyles look from 1980, but then I realized that they don't look all that different from what's "in" right now! Just a few ideas from our house. For lots more ideas on great toys, go to Works-For-Me-Wednesday at Rocks In My Dryer! I think I could have written your list. Although, I did forget about Trouble. That may have to be a Christmas gift. I love the board games but I have a hard time making time to sit and play with them lol. Plus I have no mercy and can't "let" them win ha ha . I know I have issues lol. I wish all I had to do all day is play with the kids lol. I'm sure they wouldn't mind. My boys have had all those toys at one time or the other. Great list!! Brought back some memories for me. We still have the lego collections. I'm hoping to have grandkids to play with them. I have to say Legos Rock! Both of my boys have always loved them, and hey, who says we can't build with them too?? Both of my boys have joined Lego.com where they are meeting new friends, (which we monitor). I even came in contact with Musings in the Sand that way. Check out her link here. 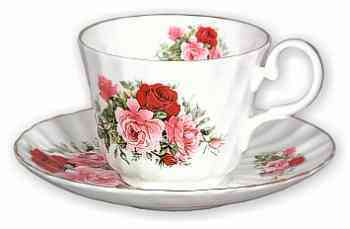 I have also added you to my blogroll. When my nephew was about two, we gave him a little boy doll. He wore overalls and a hard hat and had a tool belt. I think he was called Bob the Builder. Let's just say that Bob was not a big hit. Some gender roles are just true and dolls didn't fit into my nephew's little boy personality. I thought Bob was cute though. Great list. My boys love all of these too, although we do not have the game of Life. We also like the card games: Skip-bo and Dutch Blitz, and the board games: Monopoly and Clue.